Dr. Rizwan Alimohammad, Electrophysiologist, is Board Certified in Cardiovascular Disease, Internal Medicine and Clinical Cardiac Electrophysiology. He is also a Fellow of the American College of Cardiology and Fellow of the Heart Rhythm Society. He completed his Internal Medicine residency and Cardiovascular Disease fellowship at Albany Medical College, Albany NY. He then completed his Cardiac Electrophysiology fellowship at Virginia Commonwealth University in Richmond, VA. 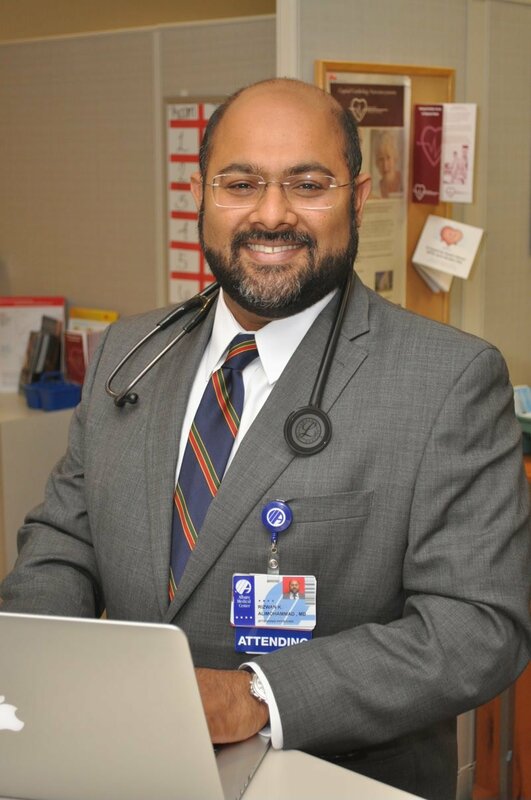 In 2017, Dr. Rizwan Alimohammad was recognized as of one the Albany Times Union “Faces of 2017,” for his efforts as a senior volunteer with Shia Imami Ismaili Jamatkhana in Colonie. “Volunteerism for me is an opportunity to actualize the values of my faith. All members of my family are actively involved in community service. In Ismail-ism, voluntary service to others is viewed as an integral and positive part of daily life, not a burdened obligation. Service means inclusiveness, compassion, respect, and sharing. The act of service is not limited to my community involvement but also infused into my career and my interactions with all individuals on a daily basis,” said Dr. Alimohammad.